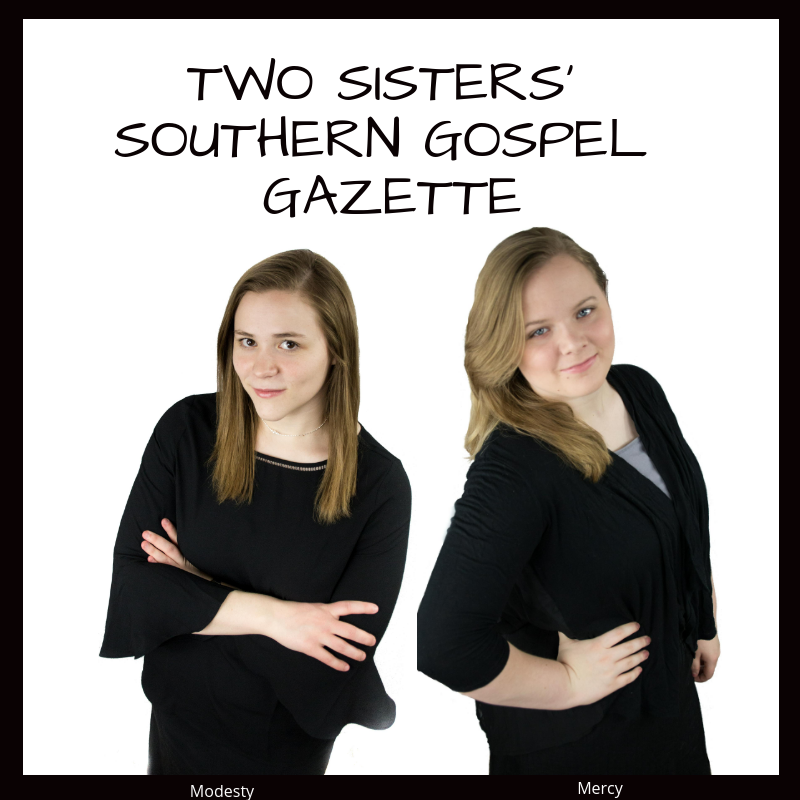 Two Sisters' Southern Gospel Gazette is run by two sisters - Modesty and Mercy. 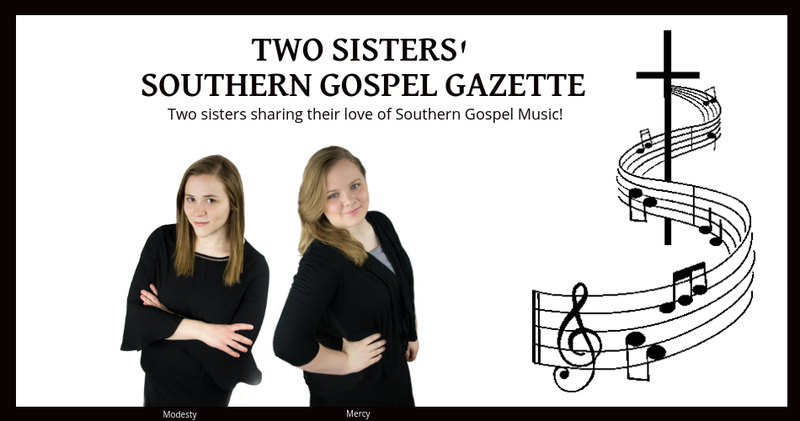 We've pretty much been listening to southern gospel music for as long as we can remember, and in appreciation of all the artists and those in the industry that keep it alive we started Two Sisters' Southern Gospel Gazette to share our love of it with others. About Modesty : We were raised listening to SGM and attending concerts, and we've never stopped. One of my many favorite songs that I've taken as life-goal is, "When the World Looks at Me", written by Roger Bennett-- as the songs says, "I want the world to see Jesus when they look at me". I have two and a half years of TaeKwonDo training, a year of Jiu-Jitsu, and recently joined another TaeKwonDo class in order to continue and reach Black Belt. I love photography and have a photography business that includes a lot of SGM - Memories by Modesty. 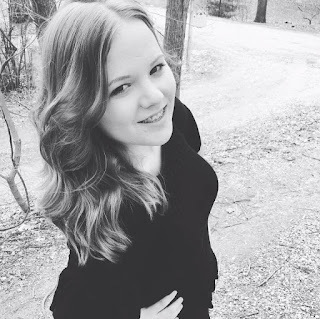 I like music, reading, cooking + baking, candles, blogging, traveling, spending time with family and friends. Quiet, sometimes sarcastic (Me?!? Never! Lol), love a good joke, and a bit of an OCD/perfectionist. Favorite food I've cooked : Homemade Broccoli Cheddar Soup, Pot Roast with Mashed Potatoes and Rolls, etc. Favorite movie of all time : The Anne of Green Gables Series has always been a favorite of mine. I love the old classics and musicals. Perfect day out - what, where, with whom : Anywhere with family/close friends makes for a perfect day. Favorite color : blue, brown. Generally prefer pastels/neutrals over bright/bold colors. Favorite hobby activity that makes me get lost for hours - Martial arts and Photography. The coolest natural wonder I've ever seen : Arches National Park in Moab, Utah. The favorite dessert I've ever eaten : Homemade banana pudding, homemade chocolate zucchini cake. What bug or critter am I most scared of : I used to be FREAKED OUT about bugs, but not much now. My favorite household chore : Dishes? Filling the dishwasher just right soothes my OCD. The best cup of coffee I've ever had : I don't drink coffee... never liked it! The most unusual pet I've ever had : Chinchillas... quite an interesting pet, that's for sure. Favorite piece of jewelry : Can't go wrong with pearls! The most important tool in my craft/ hobby stuff : TKD - BoStaff, Photography - my Camera. The coolest handmade gift I ever gave anyone : A handmade Bulletin Board. Favorite outdoor smell : Horses and saddles/leather. The smell of rain is another favorite (yes, it's odd - I know). My favorite moment as a sister : Sharing secrets or inside jokes with my sisters. My favorite moment as a daughter : My parents and I do a lot of yard-saling, checking out thrift stores, etc. together. Favorite ice cream ever and from where : Rocky Road and Cherry Pecan from Braum's is the best ice cream! Favorite famous person I've admired, living or dead, whom I'd like to meet : Gipsy Smith - a British Evangelist that I've always liked. About Mercy : Hey y'all! I'm 18 years old. I currently take voice lessons and hope to someday sing SG. I also know basic piano knowledge as well as being able to play guitar a little bit. I love reading about History and other Countries. I hope to someday travel abroad someday. While not a professional, I love interior decorating. I've repainted several rooms in our house as while as decorating them. 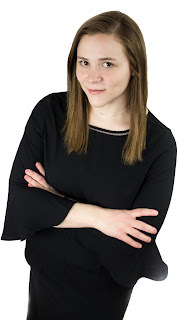 Along with running this blog I also run a blog entitled Moments With Mercy where I interview authors, actors, actresses etc. Favorite place to shop : Kohl's and Marshalls. Favorite book of all time outside of the Bible : Currently it would be - The Sky Above Us (by Sarah Sundin), and Unspoken ( by Dee Henderson). Perfect day out - what, where, with whom : Anywhere with friends and family! Favorite movie - idk if I have one. I like a lot of the old musicals modernly speaking though it would probably have to be Mary Poppins Returns? Favorite song : Let's just say I have far to many "favorite" songs to put them all! Recently one I've had on repeat is "Paved With Grace" by The Old Paths so I'll just put that. The best cup of coffee I've ever had : I like Starbucks coffee, Heine Brothers & Burg Coffees. The most treasured book in my library : Bible. Favorite perfume : Wonderstruck Enchanted. The happiest moment I can remember : While some of my happiest moments have been at events like NQC, Memphis Quartet Show or the Singing At Sea Cruise honestly just hanging with friends is my favorite. The favorite place I have ever traveled to where I'd spend my whole life if I could? : Pigeon Forge, TN. My favorite cooking or kitchen smell? : Italian food!!! Favorite ice cream flavor? : Butter Pecan and Vanilla. Favorite famous person I've admired, living or dead, whom I'd like to meet? : Ronald Reagan, George W Bush, Sue Thomas. A lot of the old actors/actresses and jazz singers would be cool to meet. Favorite Christmas Song? : Christmas Auld Lang Syne sung by Bobby Darin and A Merry Little Christmas sung by Judy Garland. Favorite Instruments : I really like piano, guitar and drums. Favorite Soloist : Jeff Stice, Mark Bishop, Joseph Habedank, Danny Funderburk and Channing Eleton. Famous person I've met? : Ted Cruz and Rick Perry. I've also met Neil Byrne and Ryan Kelly from the Irish group Celtic Thunder. If you had to change your first name, what would you change it to? If it was another Bible name probably Esther. Other then that I'm not sure. When do you find yourself singing? Literally ALL the time! Whether I'm practicing in my room or singing along with a cd, singing is one of my absolute favorite things to do! Favorite hobby or activity? : Singing, tennis, reading.